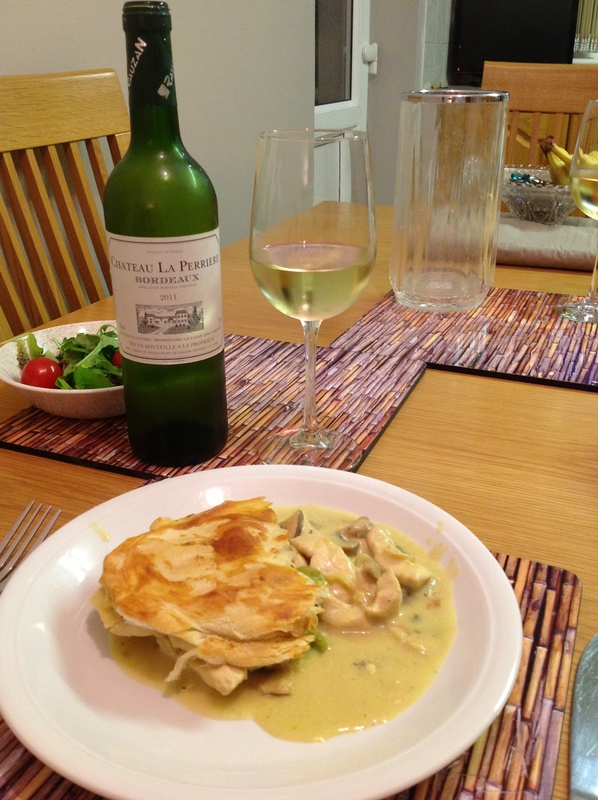 A friend of ours recommended Jamie Oliver’s Chicken in Milk recipe from his website. The chicken is cooked in a pot along with cinnamon, sage leaves, lemon zest, garlic cloves and milk. The result is supposed to be a very succulent chicken and it was. 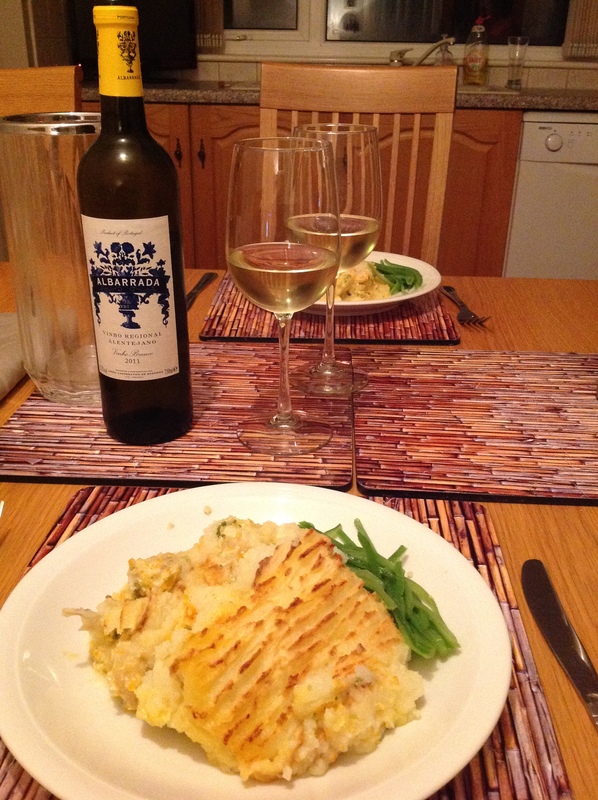 We served with roast potatoes and green beans. 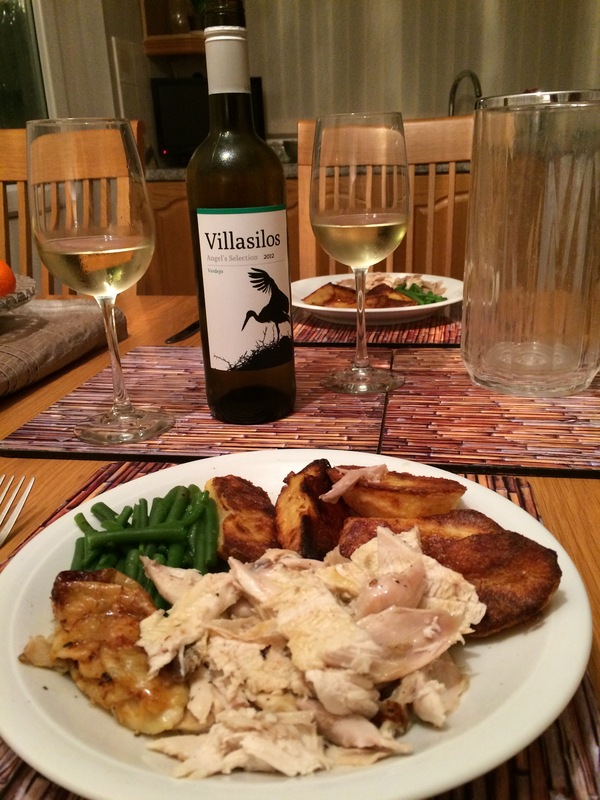 We paired the chicken with a bottle of Villasilos Angel’s Selection Rueda Verdejo 2013, a Spanish white from Naked Wines. The wine was fresh, crisp with zesty lemon flavours and creamy vanilla to complement the flavours of the food. A very good match. 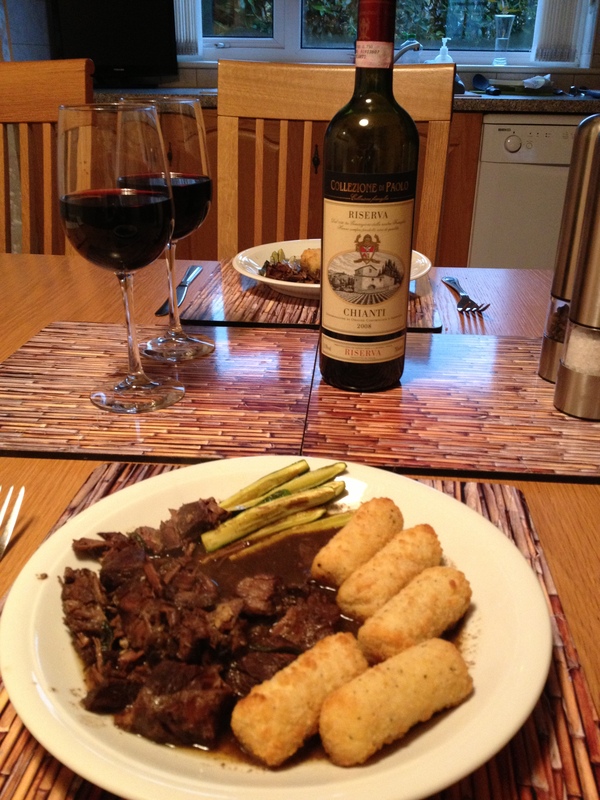 We have previously tried a peppery Tuscan Beef Stew from the Slow Cook Book and thoroughly enjoyed it with a Super Tuscan red (see 2 Nov 2012). We had, therefore, been looking forward to trying Jamie Oliver’s Peposo – the famous hunter’s peppery beef stew, from Jamie’s Italian. 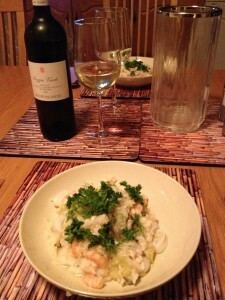 His recipe includes lots of garlic cloves, black pepper, rosemary, red wine and bay leaves. 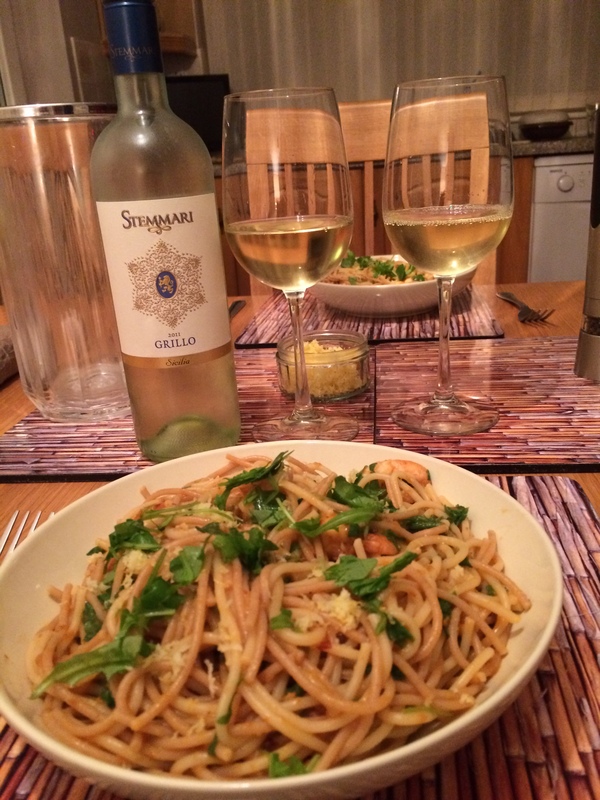 We liked the recipe, but not quite as much as the previous one. 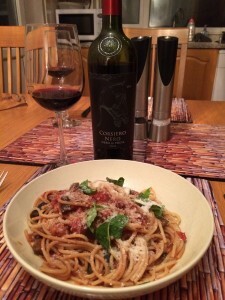 We thought a local red would again be the answer and opened a bottle of Collezione di Paolo Chianti Riserva 2008, a medium-bodied Italian red from the Sunday Times Wine Club. 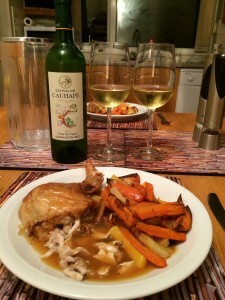 Nothing wrong with the wine, but it wasn’t a good enough match with the food, so we set it aside for drinking another time. Undeterred, we went for another Chianti and opened a bottle of Canonica a Cerreto, Chianti Classico Riserva, 2008, also from the Sunday Times Wine Club. 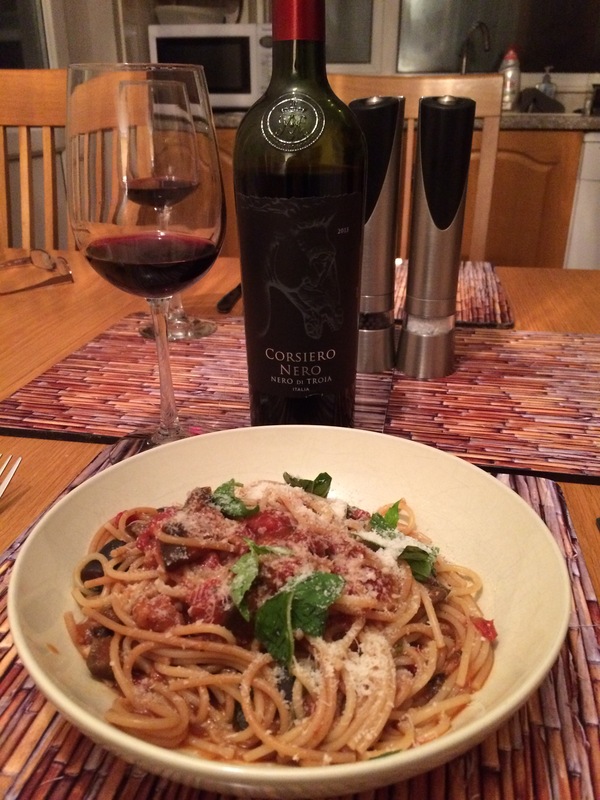 This medium-bodied Italian red is made from 85% Sangiovese, 10% Cabernet Sauvignon and 5% Merlot. We found it spicy, with cherry and red berry flavours and a reasonable match with the meal. Overall though, we were surprisingly underwhelmed with these pairings. 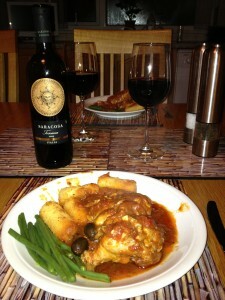 We cooked a recipe we have done a few times before – Pollo alla Cacciatore (Hunter’s Chicken), but this time we tried the recipe from Jamie’s Italian. 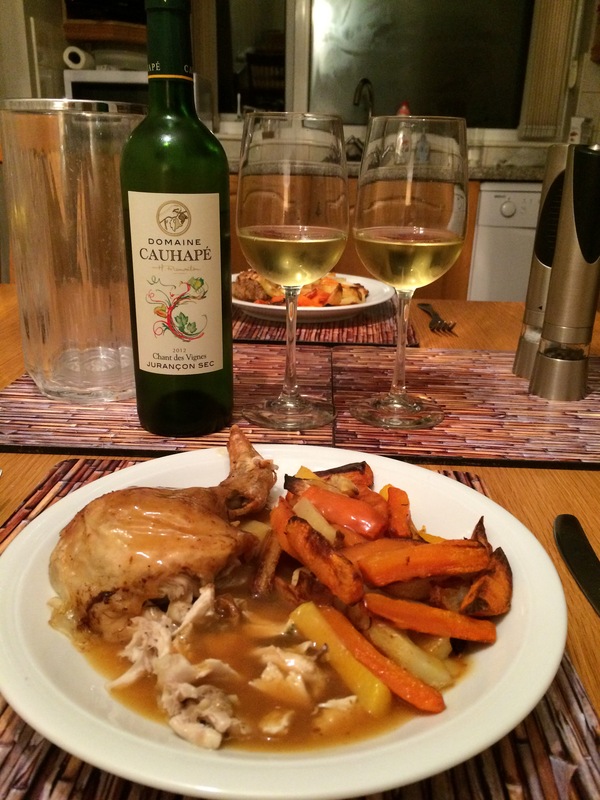 Jamie’s version is full of bold flavours. 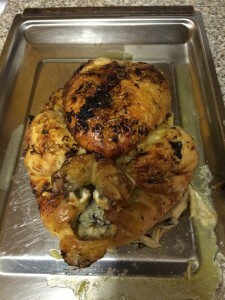 The chicken is marinated in red wine with bay leaves, rosemary and garlic and cooked with more fried garlic, anchovies, olives, tomatoes and the reserved marinade. Lovely. 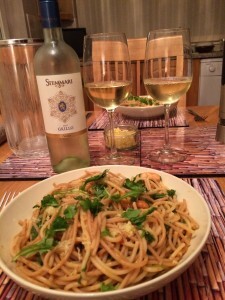 We thought a bottle of the excellent Saracosa 2009, a full bodied Italian red from the Sunday Times Wine Club, would go well, because it had paired so beautifully with a Peppery Tuscan Stew (see 2 Nov 2012). We tasted berries, black cherries, vanilla oak and a pepperiness at the finish and we considered this Sangiovese an adequate match. Next evening we had more of the stew and it was even more intensely flavoured. We thought we could improve on the wine pairing and opened a bottle of Villa Anita Old Vines Tempranillo Monastrell 2010. 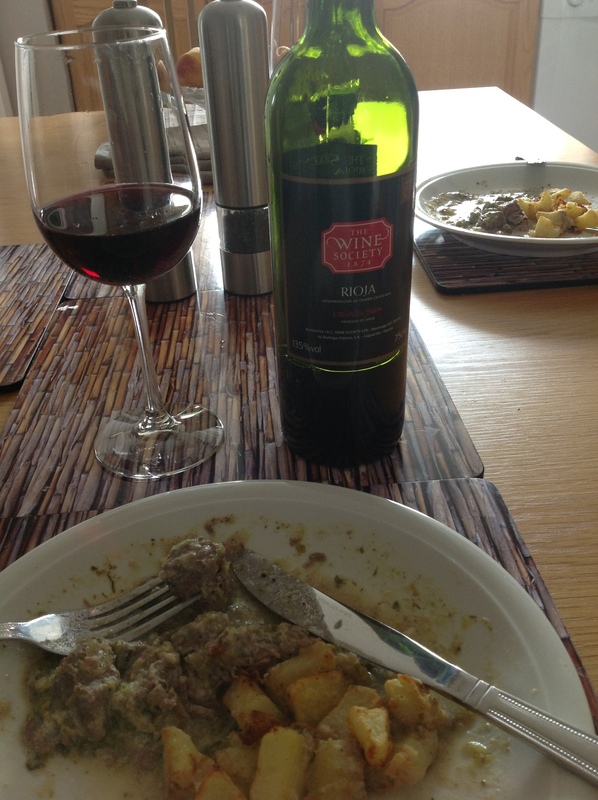 This is a powerful Spanish red also from the Sunday Times Wine Club. 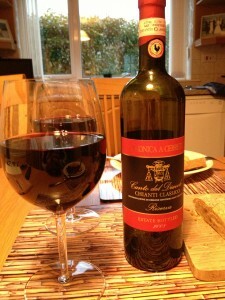 I have read mixed reviews on it, but we found it rich and smooth and loved its red fruits and vanilla. An excellent match.